The locals of Kheltubani village held a protest rally in Gori town today. The father of deceased Tornike Merebashvili gives a two-week term to the Ministry of Internal affairs for investigation and demand meeting with the Chief Prosecutor, Public Defender and Prime Minister. 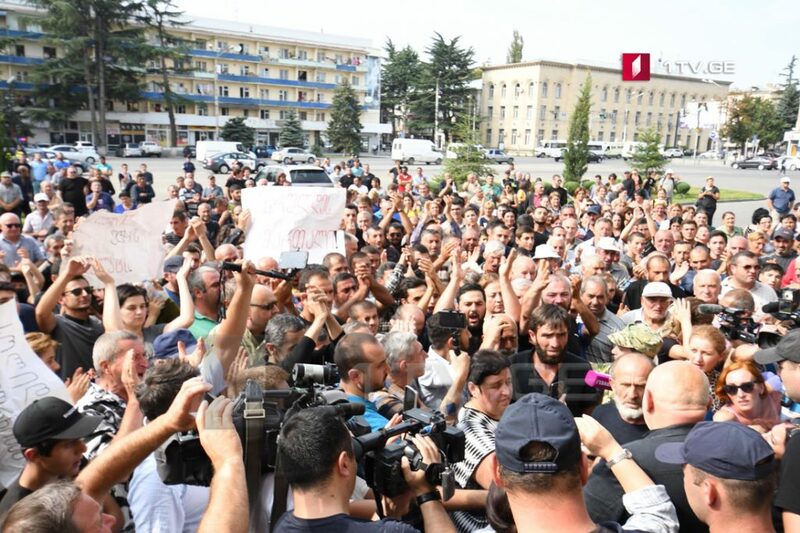 In addition, he calls on protesters to join the rallies planned by Davit Saralidze and Malkhaz Machalikashvili in Tbilisi. Zaza Saralidze, father of Davit Saralidze, the teenager killed in Khorava Street murder case that claimed lives of two juveniles on December 1, 2017 and Malkhaz Machalikashvili, father of Temirlan Machalikashvili, 19-year-old youth killed during the special operation in Duisi village, Pankisi Gorge have joined the rally in Gori today. Tornike Merebashvili was found dead on July 6. The investigation has been launched under the Article of Criminal Code of Georgia, which implies to the suicide. Merebashvili’s family believes that it was murder and demands re-qualification of the case.